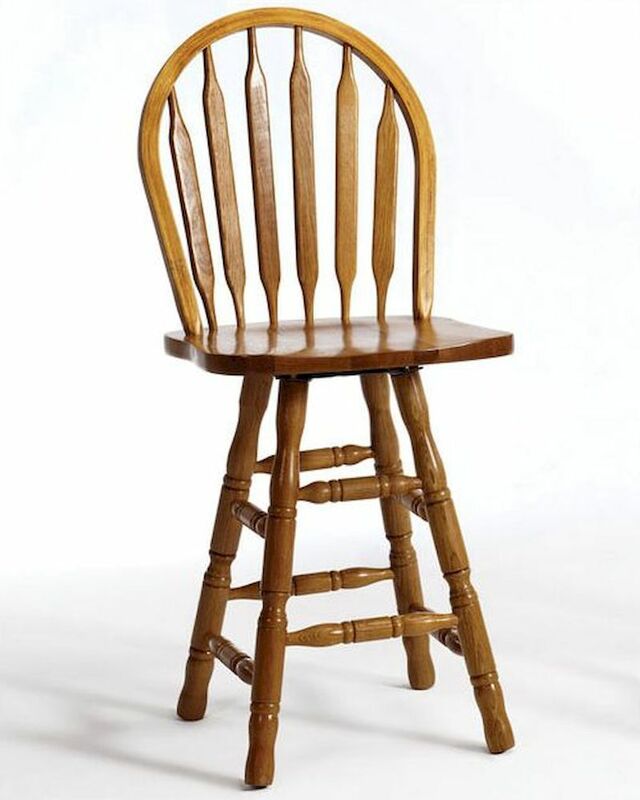 Intercon Arrow Back Pub Chair Classic Oak INCOBS26324 (Set of 2). The Classic Oak Arrow Back Pub Chairs With Swivel From Intercon Is Made From Solid Oak And Finished In Burnished Rustic. 2 x Arrow Back Pub Chair IN-CO-BS-263-BRU-C24. 2 x Arrow Back Pub Chair IN-CO-BS-263-CNT-C24. Arrow Back Pub Chair - 17.25"W x 17"D.
Durable, high quality lacquer finish. Arrow back pub chairs and barstools includes swivel. Chairs constructed from solid oak. Cross stretchers added between legs on chairs & stools for added strength. Seats are scooped for greater comfort. Solid hoops on chairs and barstools.